The Buhari Media Organisation (BMO) says Saraki is a perennial political schemer who has suddenly lost relevance and therefore frustrated. In a statement signed by its Chairman, Niyi Akinsiju and Secretary Cassidy Madueke, BMO said Saraki’s comment that the victory of President Muhammadu Buhari in the 2019 presidential election will be short-lived can only be described as the ranting of a politically expired person. BMO says that as a political schemer, Saraki has finally played himself into political irrelevance as his constituents have become wiser and given their support to the All Progressives Congress (APC). “Perhaps his political travails can be traced to the curse placed on him by his late father when the old political warlord saw the mean streak in his son, Bukola. 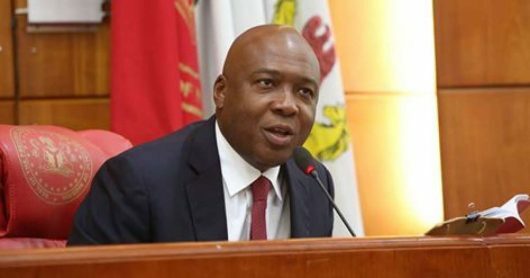 “We want to say without equivocation that Saraki is the biggest loser in the 2019 general elections, considering that he was rejected at every level starting from the unit, ward, local government, senatorial district and governorship elections, where his imposed candidates lost to the APC. It is also worthy of note that he ultimately lost as the director general of the Atiku presidential campaign.